Even for celebrities, wedding season in unavoidable. And when you're famous, you don't just get to show up and quietly get drunk with the rest of the guests. No, stars are often tasked with big jobs when their friends get married. Some celebrities are even part of the ceremony! This list contains information about celebrities who officiated weddings, loosely ranked by fame and popularity. Several famous actors, musicians and comedians have officiated weddings. Some of these ordained ministers presided over the weddings of other celebrities, while others presided over the weddings of their fans. A couple celebrities even officiated weddings that were televised. Take Jonah Hill. The Oscar nominee didn't just show up at his childhood pal Adam Levine's wedding, he actually performed the ceremony! Emma Stone presided over the wedding of her Zombieland director, Ruben Fleischer, and her publicist, Holly Shakoor. Kathy Griffin officiated the wedding of two of her fans, Brian Anstey and Elka Shapiro, back in 2008. Some of these celebrity-officiated weddings happened on live TV! In 2011, Conan O'Brien officiated the wedding of Scott Cronick and his partner David Gorshein. The wedding was broadcast on air during Conan. From Ian McKellen to Benedict Cumberbatch, which celebrity officiant would you like to have preside over your nuptials? Take a look at this list and share your thoughts in the comments section. 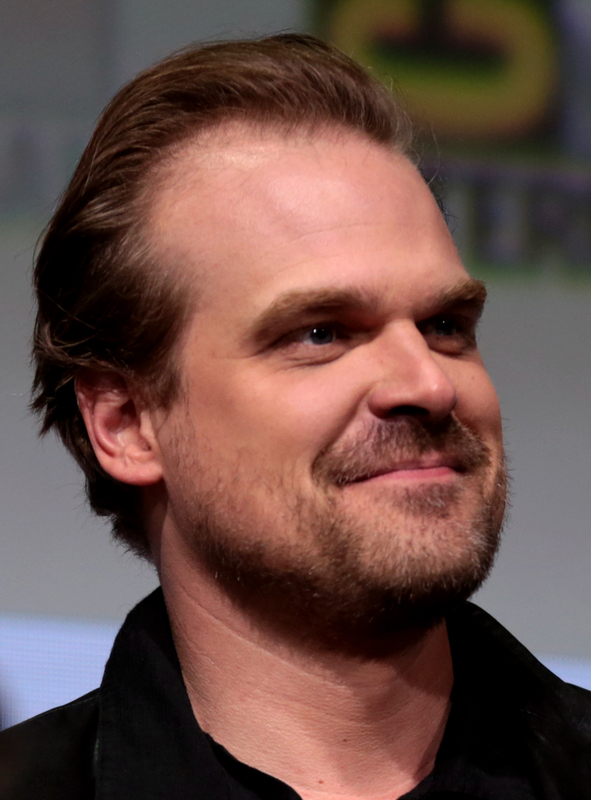 In January 2018, a fan tweeted to David Harbour asking what it would take for him to officiate her wedding. Harbour responded with a list of fair requirements, and once those were met he did indeed officiate the wedding—and he even posted to Twitter about the affair. In August of 2016, Joe Biden officiated the nuptials of Brian Mosteller (the director of Oval Office operations) and Joe Mashie (a trip coordinator for Michelle Obama) at his own home in Washington D.C. The vice prez obtained a temporary license for the ceremony, and said of the event: "Couldn't be happier, two longtime White House staffers, two great guys." Jonah Hill officiated the wedding of his childhood pal, Adam Levine, to his blushing bride, Behati Prinsloo, in 2014. In 2010, Jason Segel officiated the wedding of Abbe Thorner and Jason Woods during an episode of The Tonight Show.